Using APKPure App to upgrade Cheats For Hill Climb Racing 2, fast, free and save your internet data. Hill Climb Racing is an old-school smash-hit for the iOS and Android platforms, and the long-awaited sequel, Hill Climb Racing 2, has predictably shot to the top of the download charts in a short period of time. You can unlock vehicles, earn coins and gems, power up each vehicle to get further into each level and compete against tougher and tougher players. Read on for 11 tips for Hill Climb Racing 2! This is the best Hill Climb Racing 2 cheats/tips/tricks/hints to get better at the game. 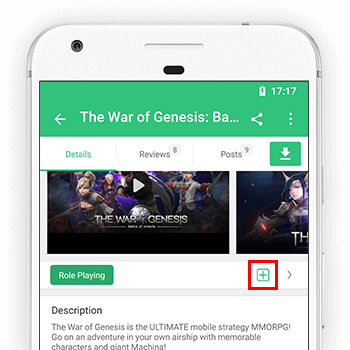 In this Apps you can get : Many Characters and Job information, Full hints for finishing the game, Every Events and moments, Walkthrough, Location and many more. You will get many more tips and trick in this Hints for Hill Climb Racing 2. Hill Climb Racing 2 is the sequel to Fingersoft’s original arcade-style racing hit, Hill Climb Racing, or, as the company likes to call it, the “most addictive and entertaining physics based driving game ever.” Once again, lead character Newton Bill will be returning to challenge the whole world, facing “unique new challenges in unique environments,” with a good number of cars available. You can defeat more opponents and collect more bonuses in this Android and iOS game so that you can tune your car and reach higher rankings, and when it comes to improving your ride, there are different parts to tune as you make your way through the game. Once again, it’s going to be all about the in-game physics when navigating each of the many environments. Guide for Hill Climb Racing 2 is app made by fan of Hill Climb Racing 2 Game to help understand the game mechanics. If u have hard time in the game, this is the best Tips & Guide you can find for Hill Climb Racing 2. That’s the game in a few sentences, and it pretty much shows you what you can expect should you download this title for your Android device or iPhone/iPad. But how can you win more races in such a way that you can get the parts that you need and tune them properly? How can you unlock more vehicles? How can you ensure yourself of success regardless of the game mode? We will be covering all that and more in this complete Hill Climb Racing 2 strategy guide.